For fact sheets on sensitive vegetation and vegetation management go to the Northern Territory Government website. Native vegetation clearing has been controlled on pastoral land and within the Litchfield Shire since 1992. The NT Government introduced native vegetation clearing controls to the remaining freehold and crown land, outside of the existing planning control areas, in December 2002 through Interim Development Control Order (IDCO) No.12. Following a two year period of consultation and development the IDCO was replaced with permanent controls under the Planning Act. Clearing controls applied to the Pastoral Land Act. Pastoral Land Clearing Guidelines introduced. Clearing controls introduced to the Planning Act with the "50% rule" introduced in the Litchfield Shire Area Plan – permits required where greater than 50% of a parcel proposed to be cleared. February - Introduction of the Land Clearing Guidelines for freehold land. December – clearing controls introduced for unzoned land by Interim Development Control Order 12 – permits required to clear greater than 1 ha of native vegetation under the Planning Act. November – Clearing moratorium declared in the Daly River region affecting freehold and pastoral leases. May – "50% rule" changed to "greater than 1 ha" rule in the Litchfield Area Plan for zoned land in Litchfield Shire – permits required where more than 1 ha proposed to be cleared on a parcel. November – IDCO12 becomes permanent in the NT Planning Scheme affecting unzoned land. The Litchfield Area Plan remains current. Land Clearing Guidelines for freehold land updated. 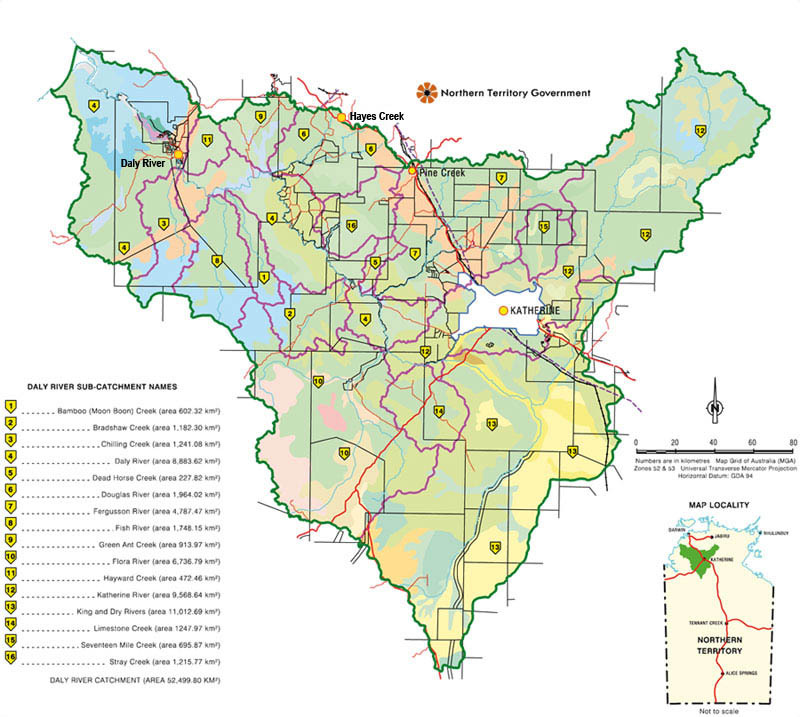 February - the NT Planning Scheme consolidatedwith clearing of native vegetation criteria applying to unzoned and zoned land across the NT. December – Daly River region clearing moratorium extended with an emphasis on water allocation planning. March – clearing moratorium in the Daly River region formalised by Interim Development Control Order 17. Freehold and Pastoral Land Clearing Guidelines updated. Freehold Guidelines includes special provisions for the Daly River catchment.